Our Personal Food Computer (PFC) project with OSU-Cascades Energy Systems Engineering (ESE) students was a huge success. Our friends and collaborators at E::Space Labs provided us with a significant amount of project support, and we are extremely honored to have them work with us. What first began as an idea all tangled in wires, circuits, ideas, and coding, ended up becoming an organized and meaningful approach to learning about our miniaturized automated growing system. It was so great working with the ESE team, and they really worked hard on the project over 2 quarters. They are continuing the work with the PFC, and it's great to see that they want to continue on this road with us. We're still at it...making our way towards bringing our own unique hybrid version of sustainable urban agriculture to Bend, OR. We are currently having key meetings to address next steps and big goals for this year (and 5-years out). We're really excited about the way things are moving forward, and just like all things, it's one step at a time. What a great (yet short) growing season this year, and we had another bountiful harvest. It was such a nice experience to gather the lettuces in the warm sunlight, give them a good rinse, and show up on a neighbor's doorstep with a bag of fresh-picked, crispy salad greens. It's always wonderful to see people receive their share with bright smiles, and brimming with gratitude. That's the great thing about running a community vegetable garden...giving it away. That's what our Around The Block Farm is all about - providing access to our crops for whomever desires to pick some veggies to eat. 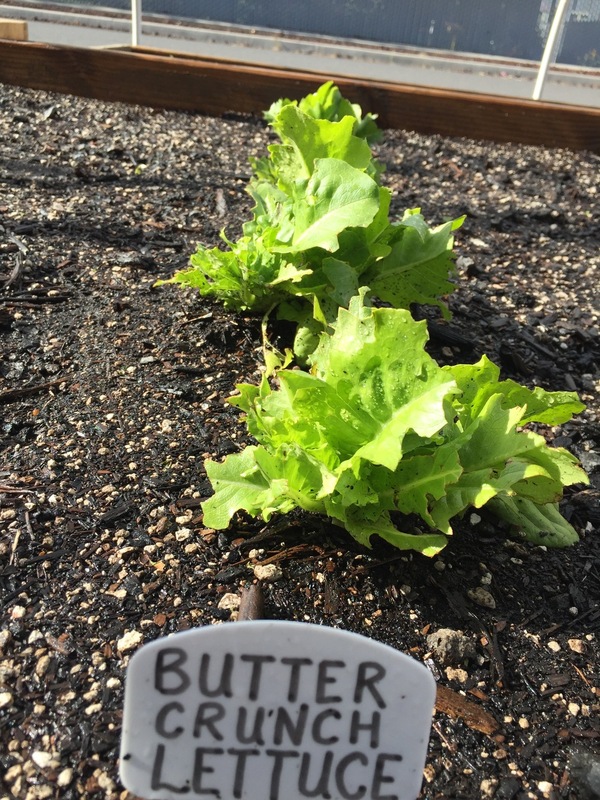 The lettuces bolted a bit early in the season, but that's the risk we run when the temperatures can fluctuate between extremes out here in this high desert climate. We had some really hot Summer days, and even the shade cloth wouldn't have made much of a difference. Oh well, at least we reaped plenty of greens this year before the plants "did their thing" to survive by flowering. The red tomatoes this year were excellent, and they were so juicy and sweet. They were so great on sandwiches, in pasta sauces, and even fresh off the vine. The temperatures began to reach freezing in the beginning of October, and that was it for the tomatoes. The kale was great as always, and Briana was happy to bake her famous, absolutely delicious Kale chips this year. She has gotten her amazing seasoning down to a science, and it really adds so much flavor. I could have been quite fine with just eating my wife's fresh kale chips all day every day. Totally delectable! Lettuces, kale, and radicchio...oh my! Smooth leaf kale makes great eats. You just can't go wrong with lettuce.